Amid reports of ties between Israel and Saudi Arabia, Energy Minister says Israel has covert ties with "many" Arab states. 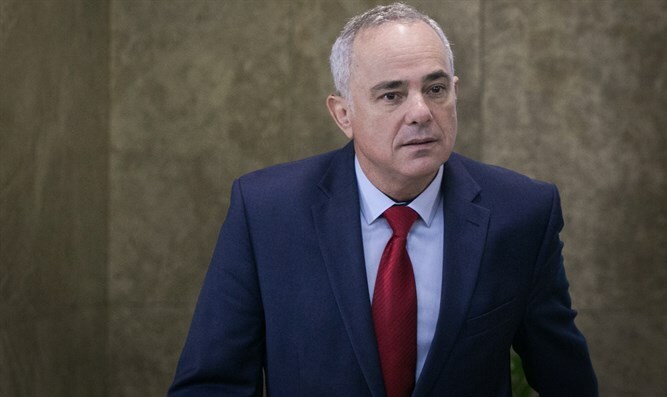 Energy Minister Yuval Steinitz revealed on Sunday that Israel had covert ties with "many" Arab and Muslim states, but added it is obliged not to name them at the other sides' request. "We have ties, some of them secret, with many Arab and Muslim states," Steinitz told Army Radio. "Usually the one who wants those ties to be discreet is the other side," he added, in response to a question about whether the ties are with Saudi Arabia. "We respect the wishes of the other side when contacts are developing, whether it is with Saudi Arabia or other Arab or Muslim countries," said Steinitz. His comments come amid reports that Israel and Saudi Arabia are getting closer. The Lebanese newspaper Al-Akhbar reported last week that the Saudi government is weighing the possible normalization of relations with Israel ahead of a planned Middle East peace program by the Trump administration which aims to not only secure a final status agreement between Israel and the Palestinian Authority, but lead to recognition of the Jewish state by the larger Arab world. On Thursday, the British Daily Mail newspaper reported that Saudi King Salman plans to step down and announce his son as his successor within a week. The report said that once the Crown Prince becomes king, he would enlist the help of the Israeli military to crush Hezbollah, Iran's proxy in Lebanon. The report cited an unnamed Saudi source and was not officially confirmed. Also on Thursday, IDF Chief of Staff Gadi Eizenkot gave a rare interview to Elaph, a Saudi newspaper based in London, in which he called for a new regional coalition to counter Iran's growing influence and threats in the Middle East. Recent reports indicated that a senior member of the Saudi royal family, perhaps even the crown prince himself, held high-level talks with Israeli officials during a clandestine trip to the Jewish state. Saudi Arabia vehemently denied the reports, saying they were unfounded.